Tower climbers throughout the world are known for their incredible strength and daring. Climbing up towers that are completely exposed to the elements, in all weathers, carrying a large amount of equipment that is incredibly heavy, is not really for the faint of heart. Add into that the detailed knowledge, experience, and qualifications that a tower climber will need to have in the field of electronics, and it is no wonder that many people, when they are asked to imagine within their mind’s eye the typical tower climber, think of a man. But this is changing. More and more girls are finishing school with a deep interest in science and electronics, and are discovering at university or college that there is a whole world of electronics based careers that they can go into. At a very basic level, there is absolutely nothing from preventing a woman from studying electronics, and excelling at it. Having a womb doesn’t mean that you can’t think, and it doesn’t preclude you from understanding some of the most difficult and complex theories, as well as complicated practical working environments. This trend can be seen throughout the computing and electronics industry. One brilliant example of this is Limor Fried, a woman who has created a highly successful company based around offering people simple kits to modify the electronics that they already own. Her company Adafruit Industries is fast becoming a world leader in allowing people and both men and women and to take control of the electronic devices that they own in a very positive way. She was also the very first woman that ever graced the cover of the highly popular electronics magazine Wired in 2011. 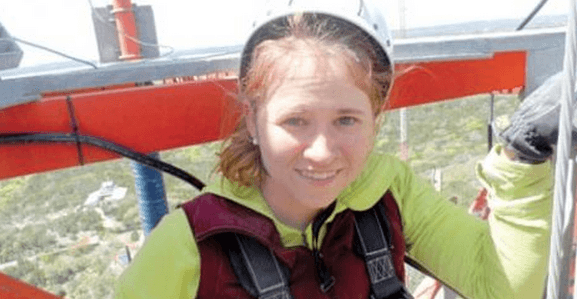 There are many women throughout the electronic and computing industries that are challenging preconceptions about what a woman can and can’t do and but the world of tower climbing is slightly different. Without contravening the laws of political correctness, one of the very necessary requirements of being a tower tech is a high level of power and strength, which is not something that many women possess. There are also many stereotypes of women that have them panicking every time something small goes wrong, and not being able to keep their heads in a crisis. So is it possible for women tower tech to be successful? Lauren James would argue yes. At the young and tender age of merely twenty four, she is one of the very few tower climbers that is both earning well, and a woman. Out of the 9000 tower cell tower tech that are working in her area, she is only one of fifteen that are female. This hasn’t dampened her spirits, however, and she loves challenging people’s stereotypes of what a tower technician should look and sound like. It is the love of climbing that brought Lauren James to the world of tower climbing, not that of electronics, proving that there is more than one way for a woman to find herself deeply set in the world of tower climbing. If you are a girl or a woman that is interested in tower climbing, do not let the male dominated environment put you off. You have every chance of being just as successful as any man ñ after all, not every man that you see could be a successful cell tower technician! It is all about how you approach your job: if you work hard, and put in some serious preparation before hand, there is no reason why you cannot climb any tower, just like the rest of them.